Earlier in the day we introduced Shaun Shades. the company has been making waves with their charity meets designer eyewear. 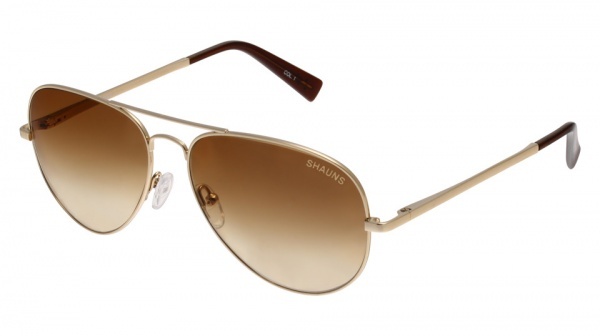 Like a few labels, now, Shaun Shades provides a pair of glasses to a needy person, for every pair sold. With stock like these metal ‘Elie’ aviators, we are quite sure there will be a fair amount of glasses given away this year. Zeiss lenses, trademark braille logo, and spring hinges mean that although a globally conscious purchase, you are not sacrificing style or quality. Available online. This entry was posted in Collections, Sunglasses and tagged Shaun Shades. Bookmark the permalink.